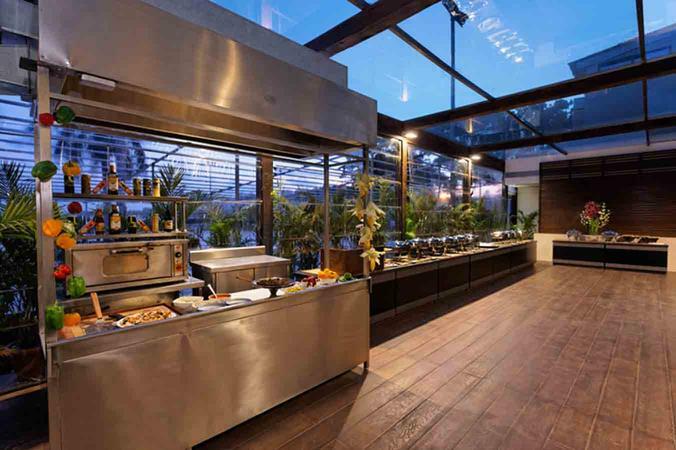 Thackers is known for its exceptional catering services in Mumbai and all over the country. With a team of experienced chefs in the house and customer services that are unmatchable, Thackers is undoubtedly one of the best catering services in town today. Given that their very first foray into food was catering to some of the most prestigious industrial houses, clubs and gymkhanas in the city of Mumbai; catering has always been their traditional strength. Thackers is a caterer based out of Mumbai . Thackers 's telephone number is 76-66-77-88-99, address is Chowpatty, Girgaon, Mumbai, Maharashtra, India. Thackers is mainly known for Wedding Catering, Party Catering , Marriage Catering Services. In terms of pricing Thackers offers various packages starting at Rs 1050/-. There are 0 albums here at Weddingz -- suggest you have a look. Call weddingz.in to book Thackers at guaranteed prices and with peace of mind.